2016 has not been a classic year for cinema but he has thrown up some outstanding movie experiences. Marvel upped their game with Captain America: Civil War and then changed direction with Doctor Strange. Leonardo DiCaprio finally won his first Oscar for The Revenant, while Disney triumphed with Finding Dory and Zootropolis, as well as giving us the first stand-alone Star Wars film, Rogue One. Here, however, are the ten films that really shook my world this past year. 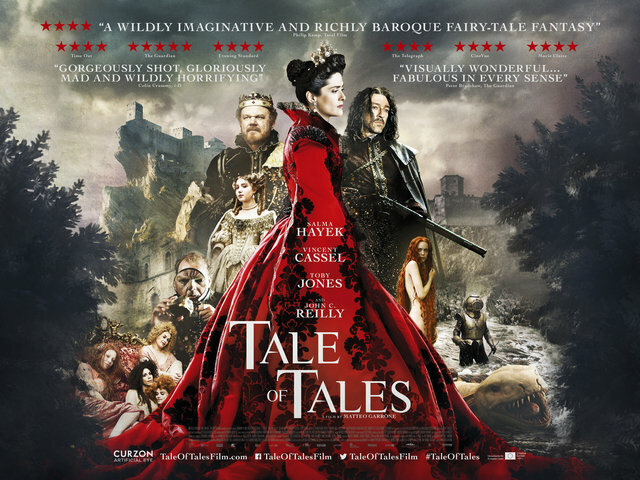 Cinema has to be inventive and nothing came close to the sheer inventiveness of Tale of Tales, three adult fairy tales, told with great beauty and originality which made it hard to draw your eyes from the screen. With a solid cast including Toby Jones and Salma Hayek, this was surreal, quirky and consistently astounding. Moana may not have the commercial appeal of Finding Dory but this charming tale of a girl facing demi-gods is not only a beautiful piece of animation but manages to produce a strong female lead that isn’t your usual princess-type. With terrific songs and Dwayne “The Rock” Johnson singing! This totally enchanted me. Science fiction was everywhere in 2016 and so it took one film to really grab the attention, that being Arrival, a smart, intelligent and heartbreaking tale of a linguistic expert hired by the US Army to try and form a communication with alien life. This was a film that never gave us the obvious, never talked down to its audience and had a superb central performance from Amy Adams. A truly adult sci-fi movie. Pedro Almodovar is back with his best film since Volver, a terrific drama about how the death of a man can pull apart the relationship between a mother and daughter. Almodovar plays with time, plays with our emotions and delivers a host of strong female characters. Emma Suárez is fabulous as Julieta. A pitch-perfect melodrama about grief and guilt. Going in with low expectations, this was the surprise of the year. Director Jon Favreau treats the whole story with love and warmth and we get an amazing looking piece, 95% CGI, yet feeling more real than any film like this should. Affectionate, exciting and very funny, this was a joy to behold and rightfully has become the biggest film of the year in the UK. Superb. 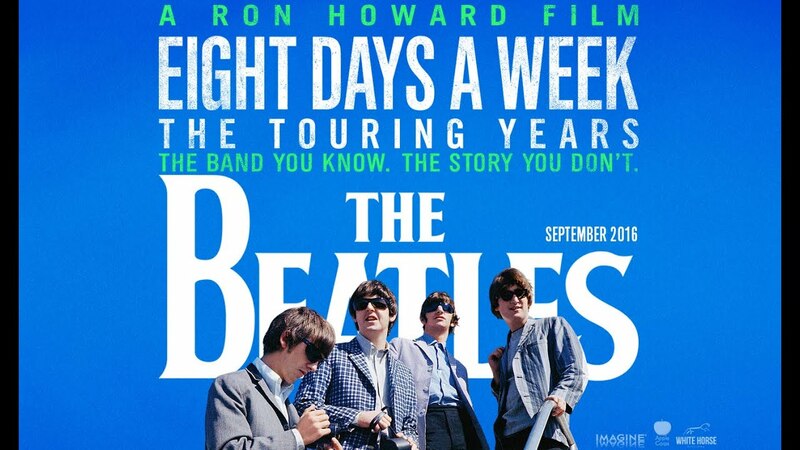 A nightmare to catch in cinemas, this documentary from Ron Howard charts the years when The Beatles were almost always on tour during their early days. With plenty of commentary from those who were there and a cleaned up soundtrack to the actual concert footage, this was a fascinating insight into a band we already know so much about and yet this told us so much more. This emotional rollercoaster ride of a movie has two incredible performances from the Oscar-winning Brie Larson and young Jacob Tremblay, in a tale of a mother and child, living in a solitary room and the fight for survival as they plan to escape. Going in without any knowledge is the best way to handle this outstanding and powerful drama. Winner of the best picture at the Oscars, this ensemble piece led by Mark Ruffalo and Michael Keaton, about the Boston Herald’s investigative team who uncover the scandal of abuse is the Catholic Church, is so masterfully underplayed that it stays with you long after it has finished. Shocking without exploitation, it is a gripping tale and the best newspaper film since All The President’s Men. Winner of the Palme D’Or at the Cannes Film Festival, this is a heartbreakingly powerful tale of a man trying to claim benefits after a heart attack, only to find that because he doesn’t fit the criteria set by the government, he has to work. A brilliant lead performance from Dave Johns, he befriends a struggling single mother willing to go to extremes to feed her children. 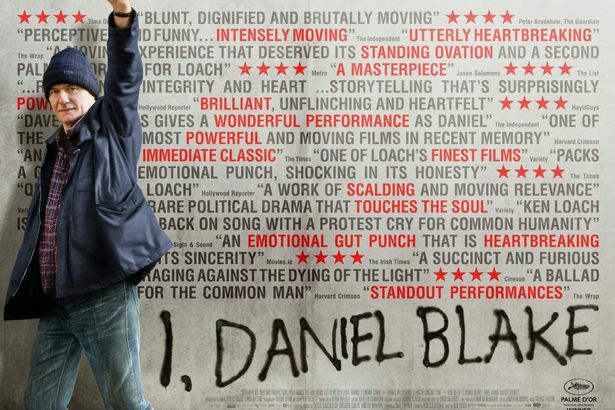 Ken Loach’s film speaks volumes about the state of the country in the most unrelenting way and includes the most tragic sequence in any film this year, set in a food bank. Unforgettable. Some films stay with you way after seeing them and Son of Saul still haunt my memories. A gruelling tale of a prisoner in Auschwitz, who discovers the body of a young boy he believes to be his son and so is determined to give him a proper burial. Filmed from the point of view of Saul and never leaving his face or head, this is not only incredible filmmaking but a film that buries deep inside you. I will never want to see it again but I am damn glad I have seen it.